Beware “The Pure Word” New Testament! | Open Our Eyes, Lord! Beware “The Pure Word” New Testament! There are way too many English Bible translations and way too many people claiming – as in this case – to have the one true guide to its interpretation. These are the stars that I sail by when I evaluate a Bible version or guide. 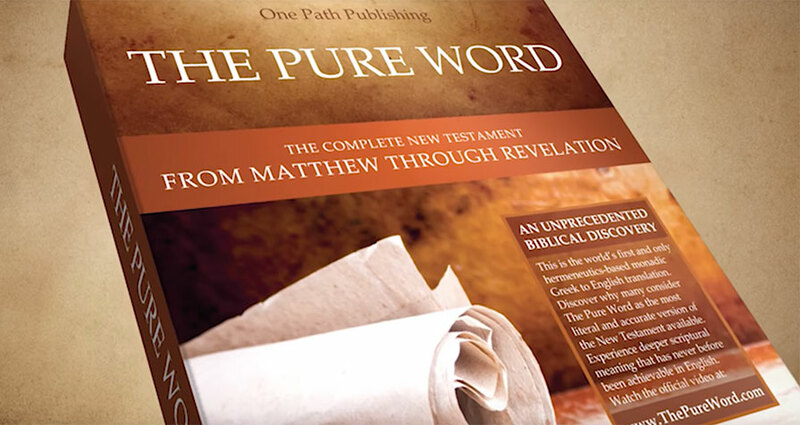 Fortunately, one new publication, The Pure Word – New Testament (TPW), has made my job simple: the TPW, far from helping the Bible student, in fact takes the reader farther away from the plain sense of scripture. This is why my thoughts in this article will seem brusque and more black-and-white than usual. 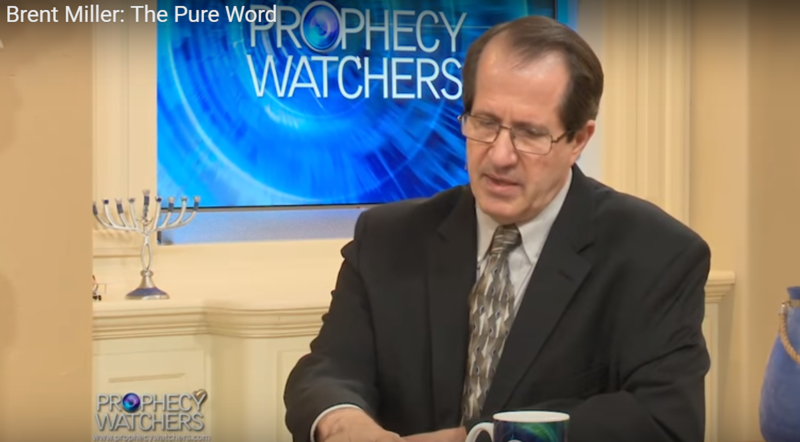 Part One: What is “The Pure Word”? What they claim to do and what they have actually done are two different things. They claim to have (at long last!) gone back to the original Greek to produce the perfect and pure paraphrase of the King James Version, one which they imply will take away the misunderstandings in the Christian church to evaporate! [see their video on their page] So Arminians and Calvinists, Baptists and Pentecostals will finally be able to see the light and shake hands all around! This last statement is either incredible hubris or simply a complete lack of awareness of what English Bible translators have been doing in the original languages for the past 500 years! People who go around making such claims about their Bibles or Bible guides are on the fast track to Cultsville. They also claim that Jesus taught in Koine Greek, for which there is scanty evidence; their interpretive guide falls apart if, as almost all experts agree, the Lord taught in Aramaic. The work is “unprecedented” for a very good reason: because authentic Greek scholars and translators refuse to do what the editors of TPW have done. The TPW site uses pseudo-technical jargon to discredit all previous Bi1ble translations: Monadic hermeneutics based translation is a new method that finally allows people to translate the NT. They claim that they can do this because if the Bible is inspired and not open to private interpretation, then therefore – and here is the leap of logic – every single word must have one clear God-given meaning. Despite their claim to have “patented” their process (for their loose definition of the concept of a “patent”, see below), “monadic” translation is not exactly new; it is a nutty idea that sounds beautiful, but it falls apart after about 15 minutes, explaining why you have, one imagines, never met a Monadic Translator. A random English example: What would you say is the “one basic meaning” of the English word “dog”? Answer: Man’s best friend, right? At least that’s the one I would go for. But the Oxford Dictionary reminds me that it also means a contemptible man, a thing of poor quality, a lucky man (You lucky dog! ), an unattractive woman, a grip with a mechanical device (see picture below). So, if you are going to interpret “dog,” what is the one perfect meaning that covers all possible uses? And the same thing is at play with the Bible languages. Their quest for a single, pure meaning of the word in Greek is bound to be fruitless, and it betrays a lack of understanding of Greek, or any other language for that matter. For example, they insist that the Greek word kosmos, to give one example, means “Satan’s world”. Sort of the Amplified version on amphetamines. The Pure Word here is utter mishmash; kosmos does not “mean” Satan’s world; “believe” does not mean “Continuously by his choice committing for the result and purpose of him”…whatever that is supposed to symbolize! English is an imprecise language that can easily cause misunderstanding. In contrast, one of the most complete languages that clarifies intent is Koine Greek, so it’s no surprise that this the language chosen in the first century to record the books of the New Testament. Actually, this is dead wrong. English can, in fact, be more precise than Koine. If someone tells you that Greek boasts four whole words to express four different shades of “love,” just quote back to them these English synonyms: “affinity, partiality, bias, liking, affection, fondness, care for, delight, keen on, dig, value, cherish, treasure, prize; enjoy, relish, savor, altruism, goodwill, charity, be stuck on, etc. etc., oh, and love,” many thanks to the good people at Rodale. The Greek phrase “en Christo” (εν Χριστω) can be ambiguous in the Greek; in English an author would have been clearer, perhaps with “in Christ” or “by Christ” or some other meaning. Again, no one who has studied the actual Greek language could label it a Super Language. The TPW presumes that all the thousands of highly-trained scholars who have worked, for example, on the KJV or the NASB or the ESV or the NIV or the Louis Segond in French or the Reina-Valera in Spanish and so on had no idea how to represent the Greek text in their language, but that two men with a very little bit of knowledge have finally achieved that breakthrough! Another claim: they are working from “an original collection of manuscripts,” a statement that I am pretty sure is smoke and mirrors. The two editors of TPW are named on the website as Dr. Brent Miller Sr. and Brent Miller Jr. It does not say who they are, nor what qualifications they have to produce a guide of New Testament Greek. Now, when it comes to Bible versions and guides, it is practically obligatory to list the translators and to spell out their qualifications: take a look at the detailed page for the NASB. In fact, we evangelicals pile on the Jehovah’s Witnesses for their refusal to name the translators of the New World Translation and to give their academic qualifications. Brent Sr. says he is a “Dr.”, but that does not mean much unless someone says which degree and from where; in another place he claims to be a marvelous engineer with 30 miraculous patents to his name. I have reached out to them for more information and will update this post when I receive it. However, just by looking at what the say, I cannot imagine that if you presented them a random page of Greek text, that the Millers could read or translate it. Back to our quest: it took me some hours to track down who are the Millers. They are father and son. Brent Junior is a screenwriter and producer, while Brent Senior is the “theologian” of the family. 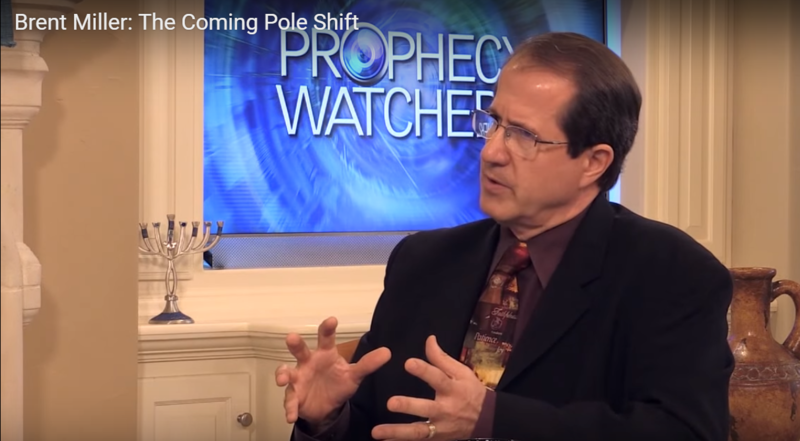 And it turns that Brent Senior was the same Brent Miller who found great fame years ago, hawking a DVD that showed how there would be a catastrophic “pole reversal” in 2012. This was the same “prediction” that some connected with the prophecy of the Mayan calendar. He wouldn’t give his proof publicly, but made you buy the DVD. Brent Miller at that time had a website called The Horizon Project, which he took down even before his doomsayings went awry. There are a lot of people online who have been looking to collect Brett Sr.’s scalp since the poles failed to shift! 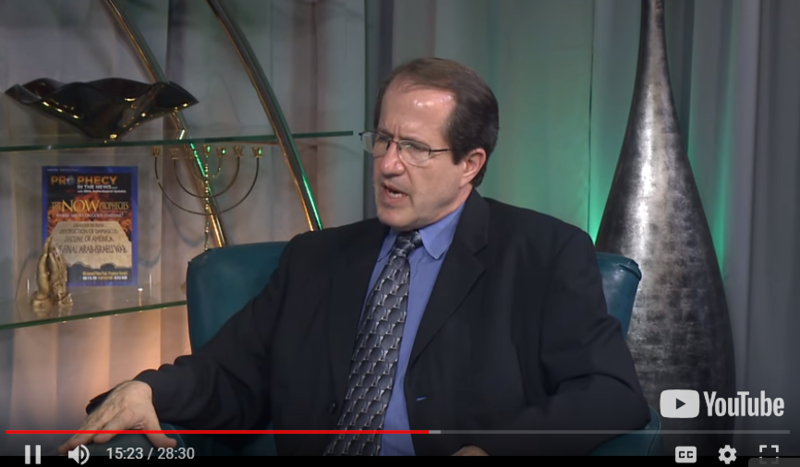 Here is a whole page dedicated to “What Happened to Brent Miller from Horizon Project?” Some of his former disciples left me a nice clue, asking, Well, I found a man named Brent Miller, but that guy sells Bible prophecy DVDs, so, surely he isn’t the same individual, right? Here he is again in 2016, showing that he has finally, after 2000 years, cracked the code of Bible prophecy. Still the same guy, obviously. He changed ties each time, but this is one and the same person! He also has the verbal tic of “This was 20 years in the making!” for more than one of his products. In olden times, if you sold fake patent medicine, and things got hot, well, you could just pick up your business and move along to the next town and you would be a fresh face. The internet, but contrast, never forgets. And from 2012, several of the guys who posted on “What Happened to Brent Miller from Horizon Project?” claimed they had been bilked out of thousands. But I know nothing about that, either way. We sometimes run across people with this type of grandiose personality. The mega-fake Bible archaeologist Ron Wyatt, “The Real Indiana Jones”, was one. An oddly high proportion of self-anointed Bible experts proclaim themselves to be former NASA engineers. In the case of Dr. Miller, I would be willing to bet that when he claims to have 30 patents of marvelous inventions, and to have been CEO of many powerful companies, and to have been an amazing engineer before he got into Bible study, that this resume too is padded. Prove me wrong, Dr. Miller! The value of a thing cannot be gauged by how sincere or dogged (Aha! Yet another meaning!) 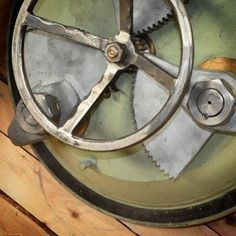 are its makers, but whether they knew what they were doing when they set about doing it. For that reason, although I think I grasp a few basics of nuclear fission, please do not hire me to build a reactor; it matters not that I promise to invest 20 years on the job. Instead of laying out $85 for the TPW leather-bound version, just pick up any reputable translation and read it in its context; do this once and you will already be miles ahead of the reader of The Pure Word. Well done ! Solid scholarship on your part. Unfortunately I have been exposed to ‘The Pure Word’ translation. Well, that’s if you can call a pseudo-literal error-strewn and wildly interpretative a translation. I’m not a Kione Greek spcialist, not by a very long chalk, but the problems do leap out at a person from the page. And Jesus taught in Greek, they claim. Well, that would have gone down well in the synagogues and when addressing the crowds who gathered to hear him. As to the tranlation of Kosmos as ‘Satan’s world’, it sounds rather a Gnostic-leaning rejection of the created order as evil. Yes, from this non-specialist Catholic’s point of view it’s dreadful, but I had no idea of the rather iffy background of the senior translator. Interesting! Thank you for your research, Gary! Thanks Gary for blowing the whistle.